Miche Bags, one bag with endless possibilities are now available from a local team of representatives in Lake Havasu City. 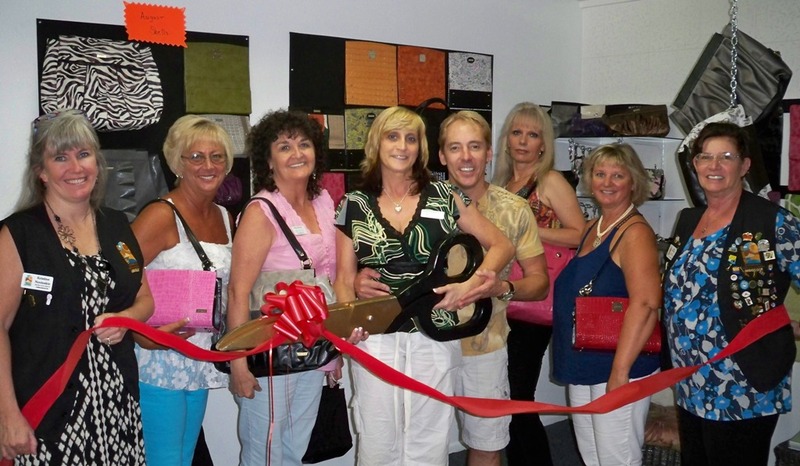 The Lake Havasu Area Chamber of Commerce held a ribbon cutting for the new handbag line in Lake Havasu. Miche Bags offer new and exciting shells each month. Clients can host a party for the opportunity to earn lots of free product. On hand for the ribbon cutting from left to right were; Kristine Novinskie, Rhonda Miller, Darla Bigham, Janice Terwilliger, Ron Terwilliger, Debbie Huff, Tambra Phillips and Linda Sugamele. To schedule a showing or to host a party contact Janice at 486-2638.